Cryptocurrencies captivated the world in the past year. As a result, a new industry worth billions of dollars has been spawned within a very short period of time, cryptocurrency apps. Cryptocurrency trading is now entering the mainstream and traders need to check prices on the go on their android or iOS devices. Cryptocurrency apps provide a nice and convenient way to track market data when you are away from your desktop. In this highly volatile market where money can be made or lost within seconds, it is important to get real time updates on news and markets. Choosing the right cryptocurrency app is an important step if you want to properly manage your portfolio. We present the top nine cryptocurrency apps for iOS and android below. 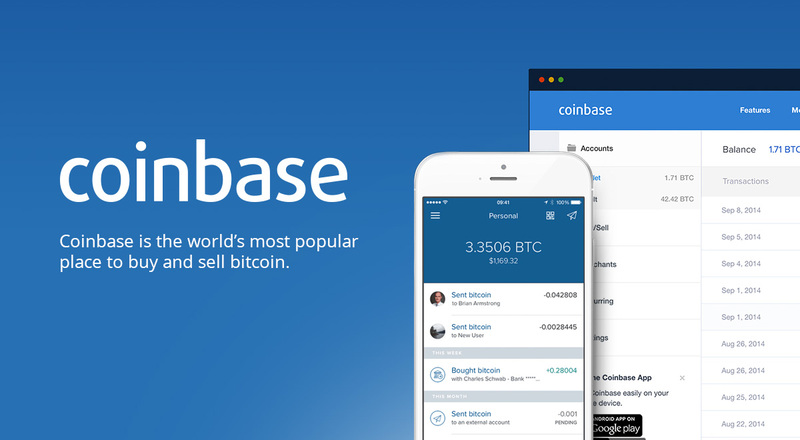 Coinbase is the top cryptocurrency exchange and has one of the best android apps out there. The Coinbase app allows secure access to your private keys. You can send and receive your cryptos securely much in the same way you would on your desktop. Price charts and tickers are conveniently displayed to allow you track your portfolios in real time. You also have access to price alerts on the app. Important details such as your balance, transaction history and transaction details are easily accessible. There is a good variety of major languages to choose from including English, French, Japanese, Korean, Russian, Portuguese, Simple and Traditional Chinese. In case you lose your phone, Coinbase has the functionality to disable access remotely. eToro is one of the top social trading network and online forex brokerage. eToro has over 5 million users located in over 70 countries, one of the largest communities online. The platform has a long history of deploying apps for its platforms starting at least in 2010 to allow investors trade from their mobile phones. The eToro app is available for both android and iOS devices on Google PlayStore and the App Store for iOS users. The app allows users to connect with their peers and manage their portfolio from their phones. There is a lot you can do with the app including viewing open charts, open and close positions, and edit stops. The app is continuously being upgraded to provide you with one of the smoothest trading experiences. One other advantage with eToro is that you can purchase cryptocurrencies as CFD. CFDs mirror the underlying asset and you can realise profit or losses according to movements in the underlying asset. There are over 1000 investment opportunities you can access through the app. These include commodities, CFD stocks, currencies, ETFs, indices and a lot more investment options. You can even copy leading investors using its patented CopyTrader technology. eToro provides a completely new way of managing your money. What’s more you can join conversations and get the latest investment news through the app. Binance is one of the top ten bitcoin exchanges serving its mainly Chinese users. It has more than 140 altcoins to choose from; one of the largest assortment in any exchange. Binance is also one of the few exchanges with a fully functional android and iOS compatible app. The Binance app for android and iOS provides an easy way to track prices and trade in cryptocurrencies while on the move. You can install the app by scanning the QR code provided on the website. It provides one of the smoothest experiences whether you are trader or you just want to keep track of the prices. This is one of the most popular apps going by the number of users and it is rapidly closing in on the likes of bitfinex and bittrex. There is a wide selection of cryptocurrencies including BTC, XRP, NEO, ETH, WTC, IOTA and GAS. More cryptocurrencies are being added every few days. Binance also has a fully fledged desktop app. As always, it is good to take advantage of the native BNB tokens which can save you 50% of the trading fees. This is a significant amount particularly if you are a day trader. Expect seamless deposits and withdrawals from the app. One advantage with Binance is the high liquidity it provides and so no hitches withdrawing your money from your account. The xcoins app for android and iOS is as good as the main website, if not better. The Xcoins exchange is known for the speed with which you can purchase bitcoin and other cryptocurrencies. The process is instant and there is a wide variety of payment methods to choose from. The Xcoins app brings the full functionality of the exchange and you can virtually make all kinds of transactions from the app. The process of buying bitcoin is safe and secure. Once you have entered the number of bitcoins you want to purchase and the made the payment, the bitcoins are taken from the lender’s wallet and deposited in your account. You can make deposits using your debit or credit card or PayPal. With the app, you can start trading with as little as $20. You don’t even have to be an experienced trader to realise profits. The process if fully automated and all you have to do is deposit funds and hit the start button. It can even handle user approvals for you. The platform will even reimburse you if your profit margin drops below 50%. The app has to be really good for them to offer such assurance. The platform allows you to set parameters like spending limits, commissions and offer ranges. Cex.io combines the user friendly interface and the functionality of the main site. 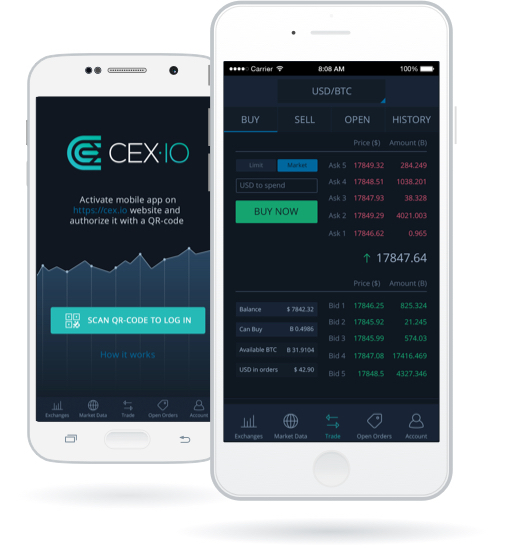 The cex.io app is compatible with both android and iOS mobile devices allowing users to track their trading wherever they are. The app brings with it the ease of buying cryptocurrencies with debit and credit cards, something that cex.io is known for. Instant deposits through the QR codes provided are possible for BTC and LTC. You also have the option of linking your account this way. Once this is done, you can view the total available balance and you can even place market and limit orders using the app. The 24 hour price movements will suit you very well if you are trader looking to make the all-important market analysis. One other strong point with cex.io app is that it is linked to other top exchanges. This means you have access to the most credible data from multiple sources. For a trader, this can make all the difference. If you have an android device, you can download the cex.io app on Google Play Store. iOS users can get the app on the App store. Cex.io has one of the best reviews from its users owing to its friendly interface and numerous payment methods. The app runs very smoothly and you can expect a seamless experience. The Virwox app is compatible with both android and iOS devices and shows the current bitcoin rate in dollars. If you are buying bitcoins, the app will estimate the amount you will get from your deposit. The app does not however show other market data but it is a good choice if you want to purchase cryptocurrencies and keep track of their prices in an uncomplicated way. Coinmama is one of the few decentralised cryptocurrency exchanges still offering complete anonymity to users. It does not have an iOS app at the moment but runs very well in other devices. If you are mostly on your phone, you can make some little money by referring new users through their rewarding affiliate program. Cryptotrader is another great mobile app for tracking real time prices of cryptocurrencies. The EMA and MACD indicators come in very handy whether you are technical trader or just a cryptocurrency enthusiast. This is one of the most popular and practical bitcoin apps on offer. The simple interface allows space for a wide array of coins to be displayed. Whether you are looking for price information or market movement for the flagship bitcoin or a more obscure cryptocurrency like dogecoin, Bitcoin Checker will likely have it.